Now I can’t totally speak for other people my age or younger. However, I personally feel like most every one whose ever gone to a party, tailgated, or even attended a college university, you’ve heard of beer pong. You’ve probably played (no I’m not judging) or you’ve watched a game take place. 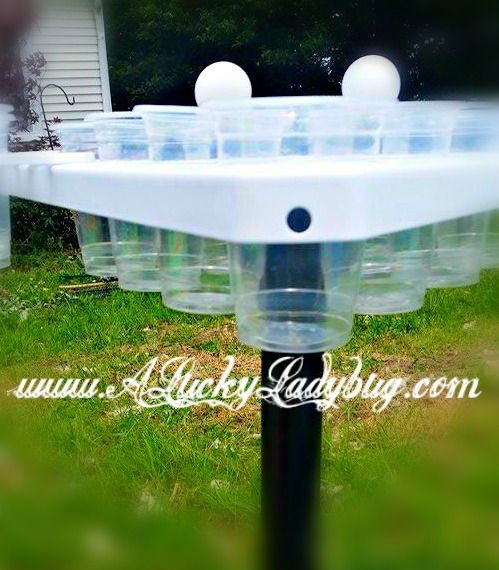 Being a big drinker myself and coming from big party school, I can easily admit I’ve played my fair share of beer pong…OK maybe even more than I’d like to admit. As an adult and a parent now, this has become a foreign activity and one that almost seems as a hush hush topic around children. This just plain stinks because the game itself is actually quite fun. 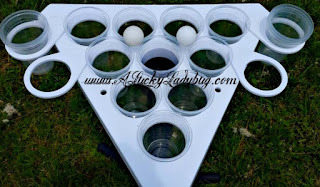 So what if you could take the beer out of beer pong and play the same game you’ve enjoyed in the past without encouraging drinking alcohol in any way? I know that get me excited and I knew my kids would be thrilled to play a game like this if Mommy would actually let them. Point Pong has done exactly this. Creator of Point Pong “envisioned a game, which could not only be considered a drinking game, but also a fun family game.” It is your old version of beer pong with the flexibility of four tables and all accessories you could possibly need and now it’s Point Pong (making it family friendly). This is by far one of the coolest game sets I’ve ever seen! 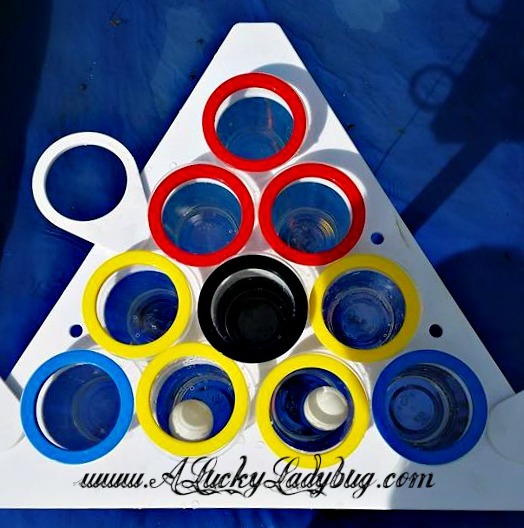 Your Point Pong set comes with a carry bag, 2 sturdy nylon bases, 2 strong plastic legs, 2 multi-functional tops, 8 side cup holders, 20 colored rings, 22 – 16 oz. cups, and 6 balls. Can you just say wow?! 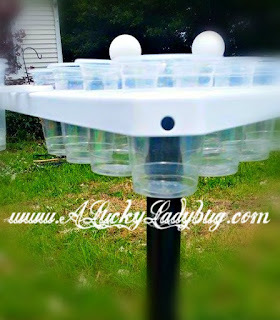 No more running to the store for cups or searching everywhere in your house for ping pong balls. Not only does it all come with the set but it can be kept in one place when not in use, in the carry bag! Not only are the tops waterproof, they also float. This way you can play inside, outside, while tailgating, or while chillin in the pool. 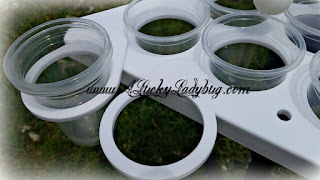 I love the cup holders and the designated spots for holding the cups securely so I no longer have to worry about spills. The kids can play this whenever they want without fear that it will encourage them to drink booze of any kind; We can play as a family which we of course did the minute it arrived; And for those adult only parties, I can still play my old version using beer. The best part is now whether I am playing the adult version or the family friendly one, I am playing on a pretty bad a$$ set. We’ve used this now for several different occasions and in only the short month I’ve had it. We took it camping a few weekends ago, at memorial day at my parents in the pool, tailgating at a sporting event this past week, inside our home whenever the kids feel like competing, and in our backyard anytime the weather cooperates. 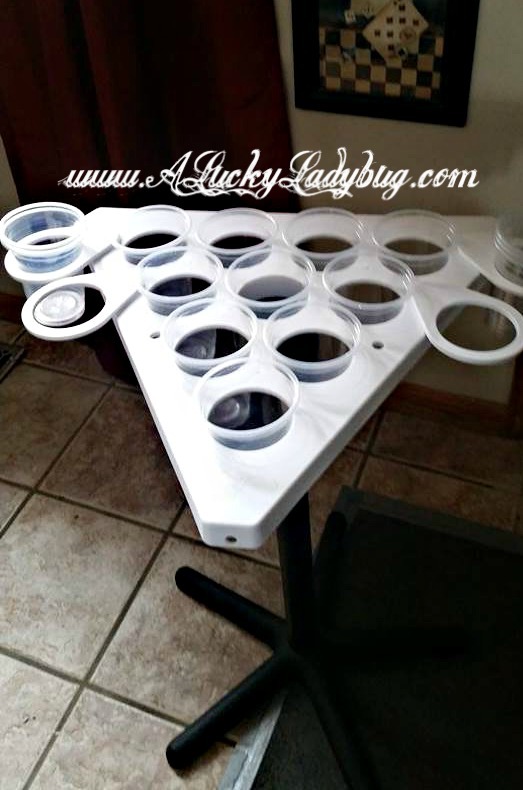 Recommendation: The Point Pong set is very well made and sturdy enough it sure seems like it is going stand quite a bit of use over time and even with my rough family. Built to travel wherever the fun takes you, the pieces can easily be thrown in the carrying bag and tossed in the back of your car. This is definitely well worth the purchase if you are the type who will use something like this even if it’s only for the rare occasion your family or friends get together. Cost wise, you really cannot go wrong with all the quality accessories that come with it too! 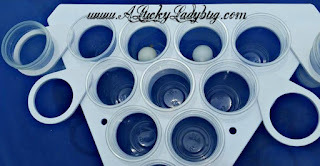 Giveaway: Point Pong is going to give one of A Lucky Ladybug’s lucky readers a Point Pong Set to have of their own! This entry was posted in Beer Pong, Events, News, Reviews on July 6, 2015 by Point Pong.